Although estrogen receptor alpha (ERα) and insulin-like growth factor (IGF) signaling are important for normal mammary development and breast cancer, cross-talk between these pathways, particularly at the level of transcription, remains poorly understood. We performed microarray analysis on MCF-7 breast cancer cells treated with estradiol (E2) or IGF-I for 3 or 24 h. IGF-I regulated mRNA of five to tenfold more genes than E2, and many genes were co-regulated by both ligands. 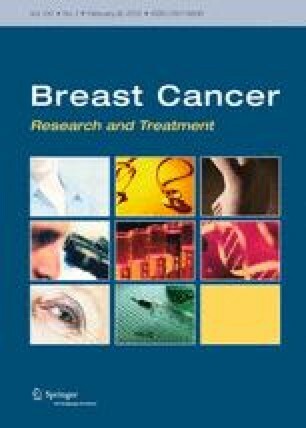 Importantly, expression of these co-regulated genes correlated with poor prognosis of human breast cancer. Closer examination revealed enrichment of repressed transcripts. Interestingly, a number of potential tumor suppressors, for example, B-cell linker (BLNK), were down-regulated by IGF-I and E2. Analysis of three down-regulated genes showed that E2-mediated repression occurred independently of IGF-IR, and IGF-I-mediated repression occurred independently of ERα. However, repression by IGF-I or E2 required common kinases, such as PI3K and MEK, suggesting downstream convergence of the two pathways. In conclusion, E2 and IGF-I co-regulate a set of genes that affect breast cancer outcome. There is enrichment of repressed transcripts, and, for some genes, the down-regulation is independent at the receptor level. This may be important clinically, as tumors with active ERα and IGF-IR signaling may require co-targeting of both pathways. The online version of this article (doi: 10.1007/s10549-011-1540-0) contains supplementary material, which is available to authorized users. This work was supported by grants from the Department of Defense Breast Cancer Research Program W81XWH-06-1-0714 (AJC) and BC043880 (SM), and by grants from the National Institutes of Health P01CA30195 (AVL), P30CA58183 (AVL), and R01CA097213 (SO).